Online status indicator has not been set up. 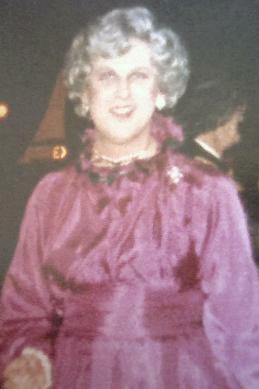 LADY CRABTREE made her first appearance on stage in April 1978. Paul had recently played a character called CRABTREE in Alan Bennett's comedy 'Forty Years On' for Newpalm Productions at the Civic Theatre, Chelmsford. 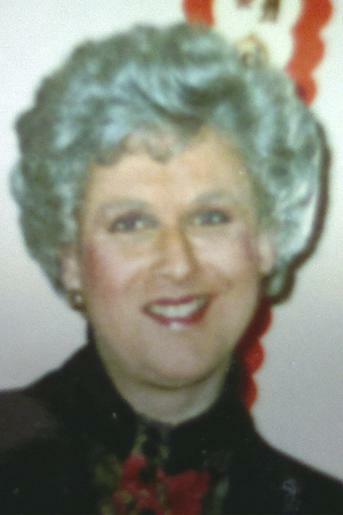 One of his tutors at University had been an extremely elegant and dignified lady called CONSTANCE Elliot. 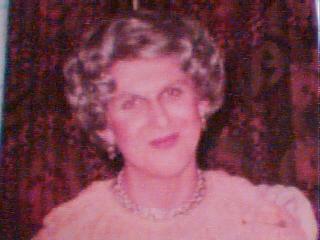 And so, thanks to a much admired tutor and playwright Alan Bennett, 'Constance, Lady Crabtree' acquired her name. In the early days Lady Crabtree would tell of her birth in Sussex, where she was born plain Constance Battersby (long before the television soap "Coronation Street" introduced a family called Battersby in 1997!) - and originally Lady C had a Yorkshire accent. 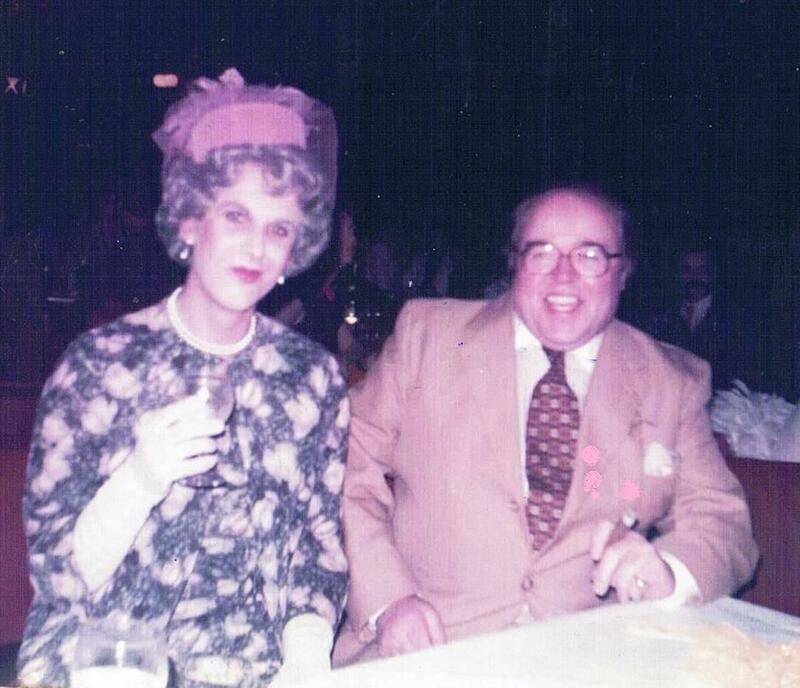 Some of the comedy stemmed from the fact that she looked like a lady, but didn't sound like one. 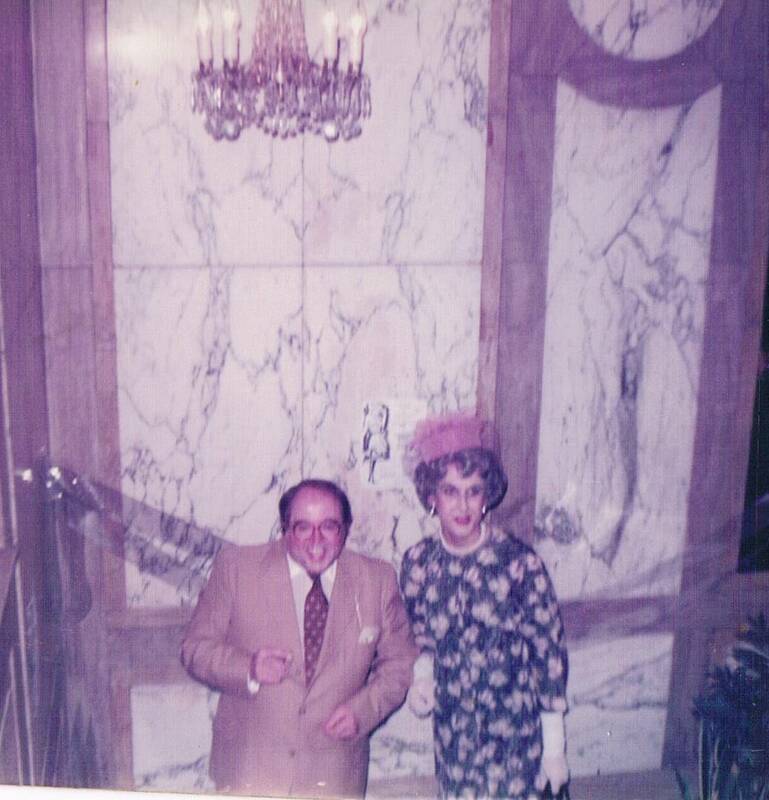 As the character developed, however, it became clear that audiences wanted her to be an aristocrat and so she very quickly adopted the 'cut glass' speaking voice that she has today. 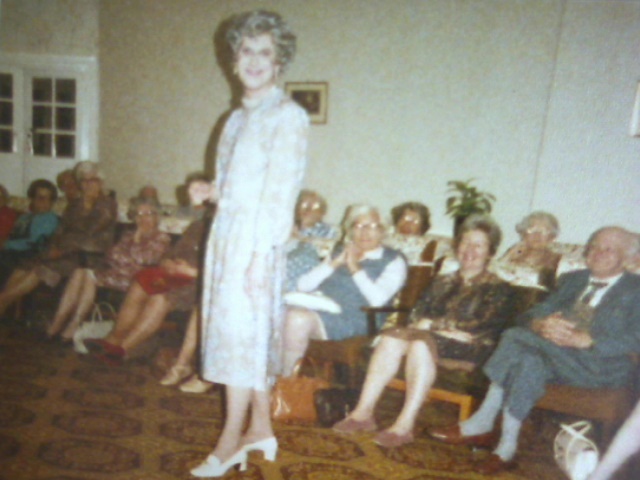 when her husband Claude 'popped his clogs' (as they say in Yorkshire!) this very merry widow became known as THE DOWAGER LADY CRABTREE. 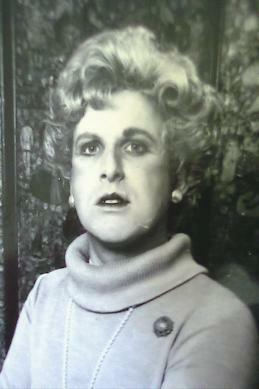 In 1984 actor DAVID McEWAN joined the act to create the character of Lady Crabtree's son Giles. 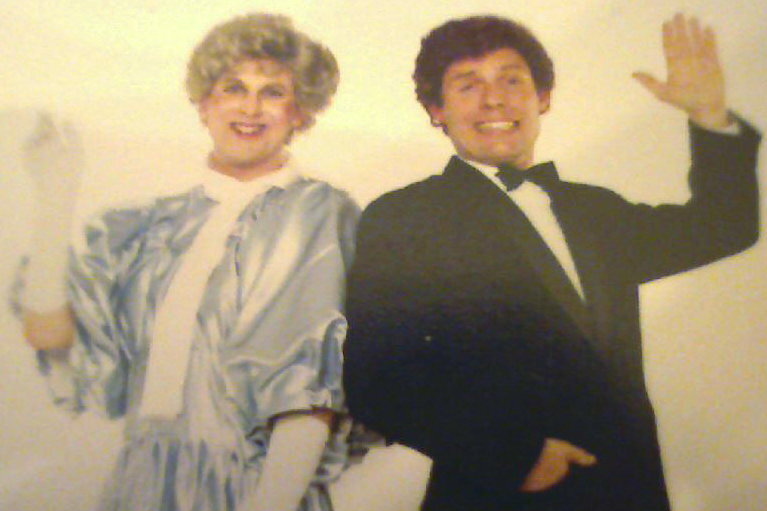 ♦ During 1984 a professional choreographer was employed to invent some song and dance routines, and Lady Crabtree began taking singing lessons with the late Chris Edwards so that songs could be introduced into the act. ♦ Sir Anthony Harris composed a piece of music called "The Lady Crabtree Waltz" and a song that was used in performance: "Diamonds Last Longer Than Love". 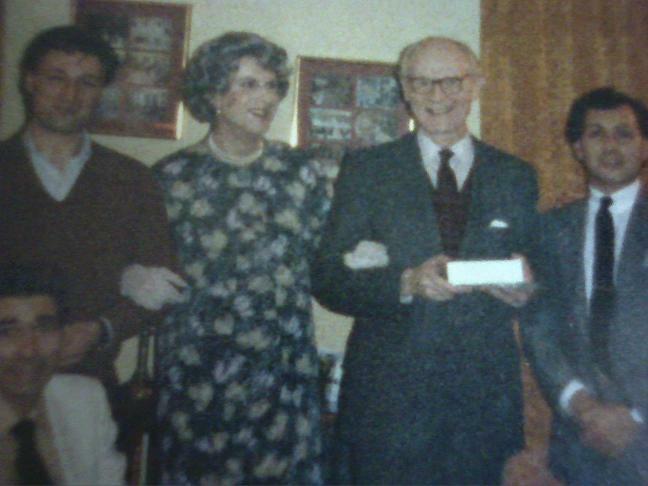 ♦ On the 40th Anniversary of VE Day in 1985, Giles and Lady Crabtree attended a ball at Porchester Hall in London dressed as Prince Charles and the Queen - winning £100 first prize for the best costume. ♦ Due to filming commitments (appearing in 'Mona Lisa' with Bob Hoskins) David was unable to pursue the role of the Crabtrees' wayward child. 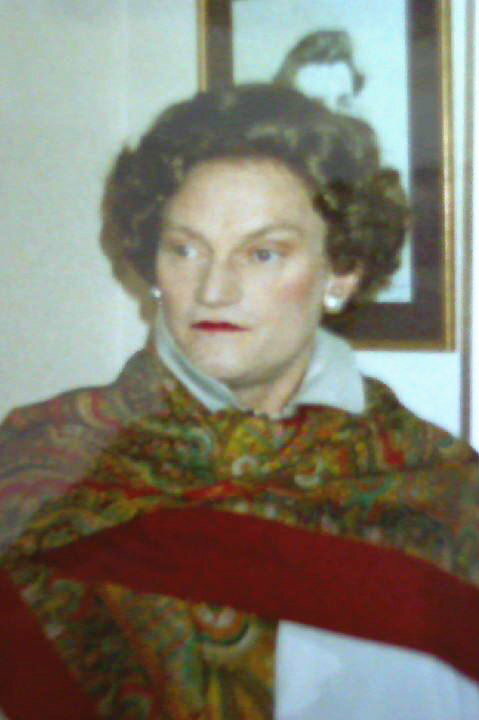 Lady Crabtree's husband Claude therefore disinherited their elder son... and Giles was never seen in public again! 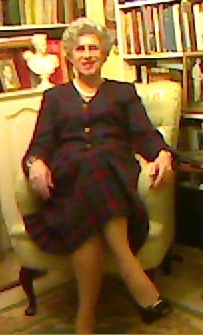 Enter Morag Auchtermuchty . . . 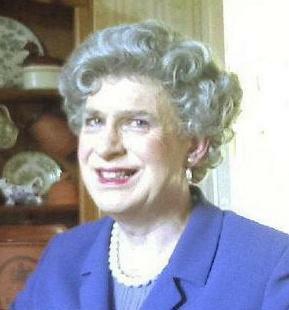 In September 1985 the actor KENNETH SUTHERLAND created the character of Mrs Morag Auchtermuchty. 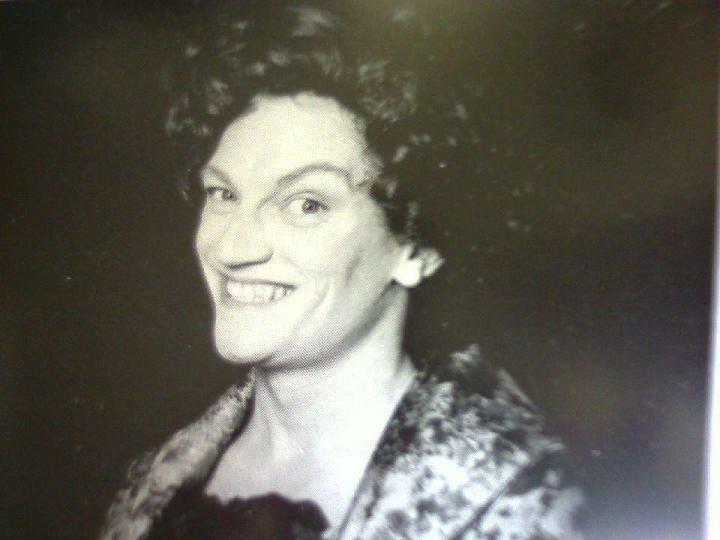 MORAG AUCHTERMUCHTY (nee Echelfechan) was Lady Crabtree's oldest chum, the pair having met at finishing school (Madame Bernice's Academy of Refinement and Beauty in Gripe Street, London). 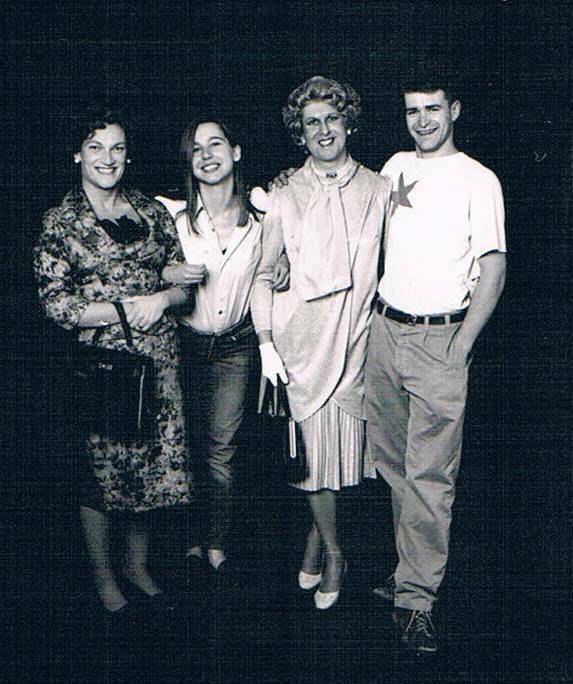 The addition of the earthy Morag from Scotland, with tales of husband Angus (and his whisky distillery producing Glenmuchty Whisky), son Ewan, and the hefty daughter Katriona ("She's down to eighteen stone now," Morag would say gleefully) gave Lady Crabtree a whole new direction. 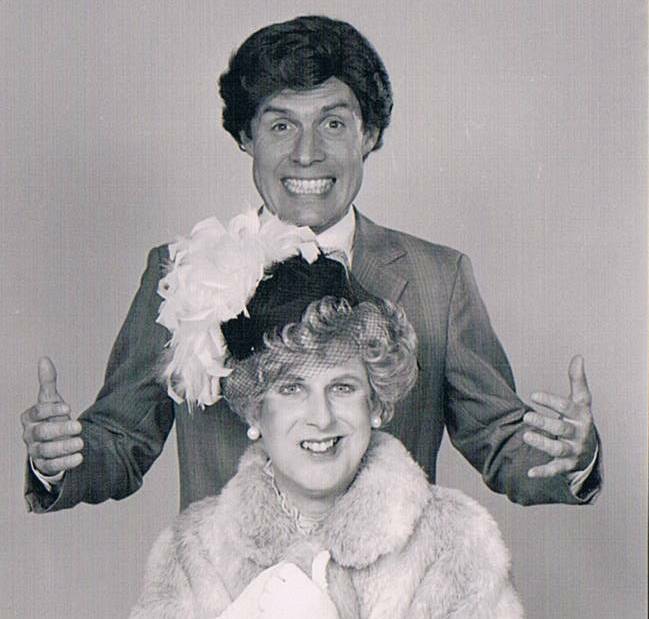 When Lady Crabtree's husband Claude died unexpectedly in 1984 - face down in the 'bombe surprise' at a dinner party - ("Thankfully, it left no lasting stain on my double damask.") - Lady C was left with massive death duties. Taking pity on her, the Queen offered Lady Crabtree the post of "Relief Woman of the Bedchamber" and Morag joined the Royal Household too as "Part-time dresser and fashion adviser to Her Majesty when at Balmoral." 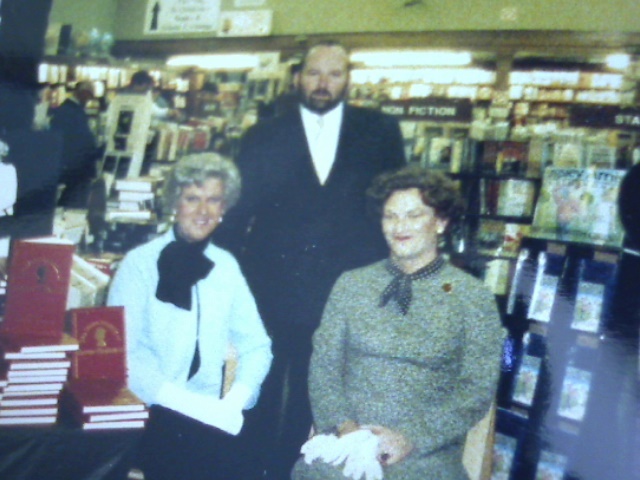 Connie and Morag told stories of their royal employment on numerous radio interviews across the UK, and Lady Crabtree wrote two books THE SECRET JOURNALS OF QUEEN ELIZABETH II (Columbus Books 1988/Virgin Books 1990/Belvarosi 1993) and THE SECRET ROYAL LOVE LETTERS (Virgin Books 1990) - which the pair promoted widely on radio and TV, undertaking numerous bookshop signing sessions, personal appearances, and newspaper interviews. 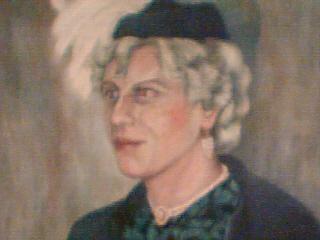 Lady Crabtree also spoke at the Manchester Library Theatre and to students at the Cambridge Union. 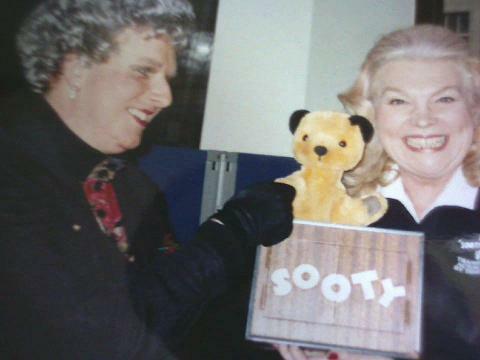 Lady Crabtree and Morag Auchtermuchty last appeared together in 1991 when Morag returned to live in Scotland. 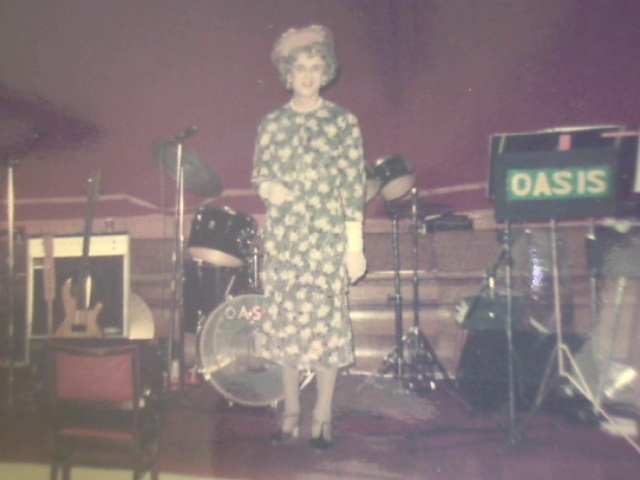 For the past 25 years Lady Crabtree has performed mostly as a solo act. 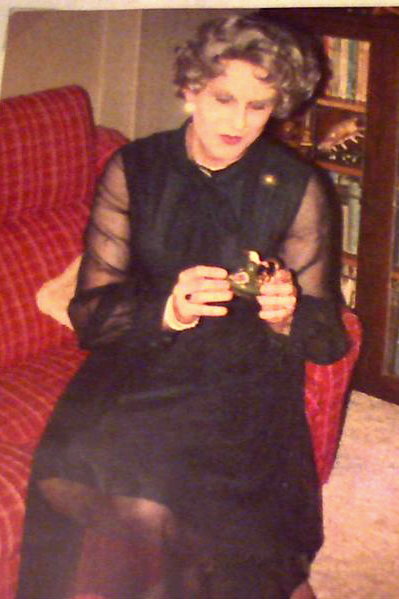 She’s had a cocktail and a soap named after her; she’s made many radio and TV broadcasts, has had international successes with her books and has entertained audiences across the UK for over 35 years, yet the Dowager Lady Crabtree is at her happiest in her home county of Sussex. We chatted to Lady Crabtree about living in Sussex and what lies ahead for the Dowager. Having been born into a theatrical family, Constance assumed she would follow her parents on to the stage, but her mother had other ideas. “She was the most frightful snob and so she sent me to finishing school – Madame Bernice’s Academy of Refinement and Beauty – as she wanted me to ‘better myself’. 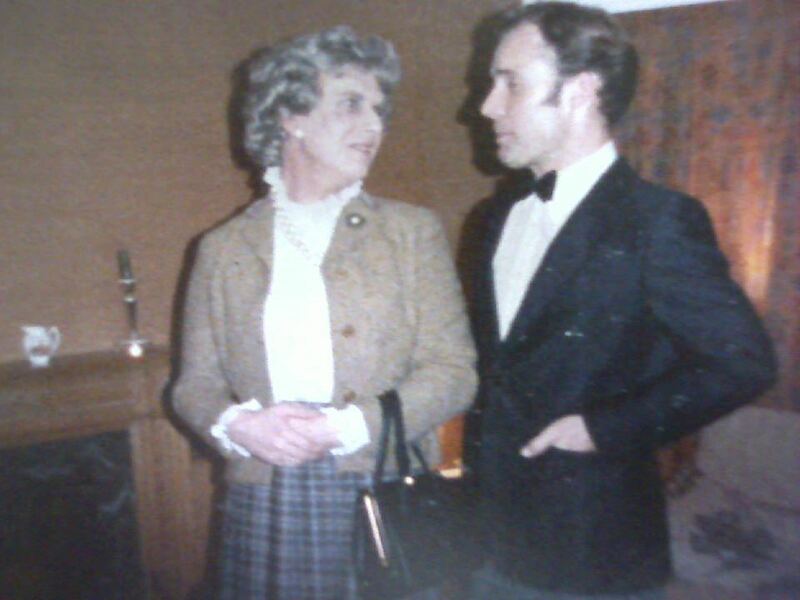 That really changed the course of my life.” Following a chance meeting with the Hon Claude Crabtree at her 21st birthday ball in 1969, the couple were married just three months later after a whirlwind romance. Claude eventually inherited his father’s title to become the 9th Baron Crabtree and Lady Crabtree’s public life began. 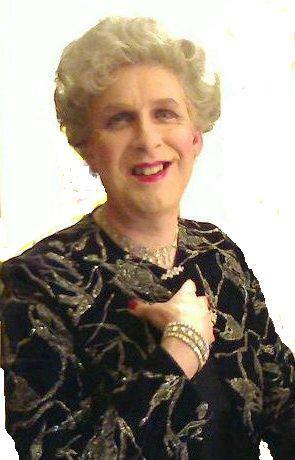 Lady Crabtree will be the guest speaker for the St Wilfrid’s Hospice 30th Anniversary Lunch in Eastbourne on 23 October. SO WHAT HAS LADY CRABTREE DONE? 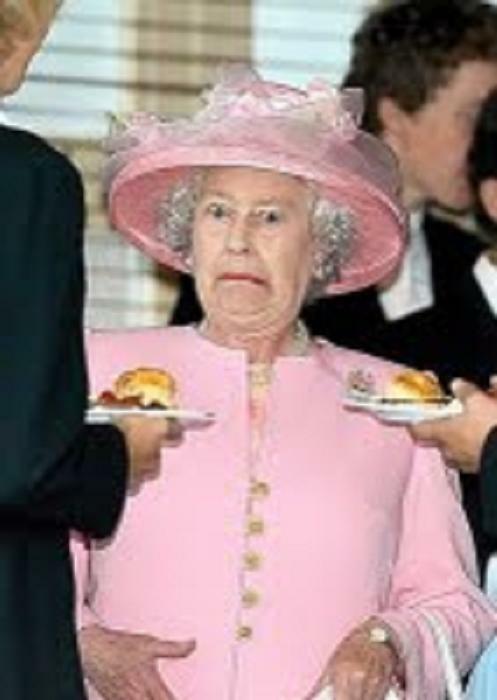 Her motto has always been "If the Queen isn't free, then get Lady C" - and in the early days she was invited to open events, judge competitions, present prizes, make comic speeches or entertain with monologues and stories about her life and family. 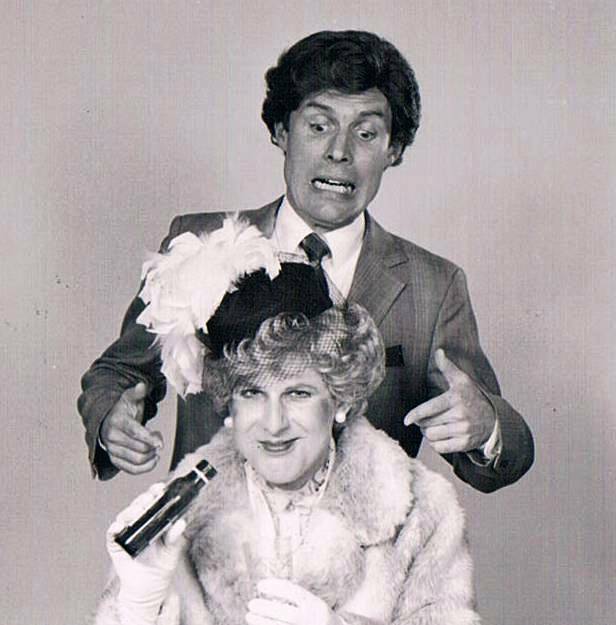 Soon Lady C branched into compering shows and making personal appearances at corporate functions. Bookings have been as varied as giving a talk to students at the Cambridge Union to entertaining "ladies who lunch" in Eastbourne! 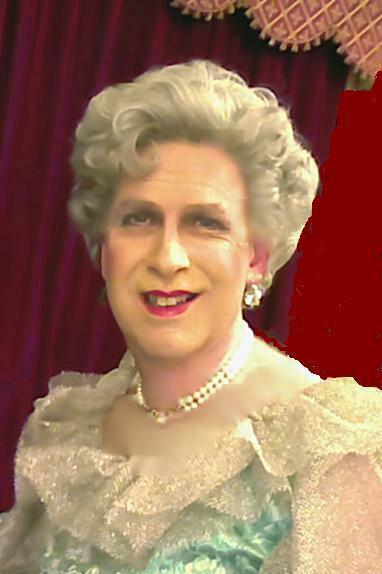 From the glamour of Porchester Hall in London, to the gritty reality of Working Men's Clubs, the intrepid aristocrat has graced many stages across the UK to keep "variety" alive and bring a touch of elegance and sophistication to the masses. Once discovered by the media, she was interviewed by many newspapers and magazines - especially when it became known that she had a "royal" connection. After the sudden death of her husband Claude in 1984, Lady Crabtree was invited by the Queen to become a relief Woman of the Bedchamber. . .
. . . Following a slight contretemps while employed by Her Majesty, today she is a 'reserve' lady-in-waiting to Camilla, Duchess of Cornwall. 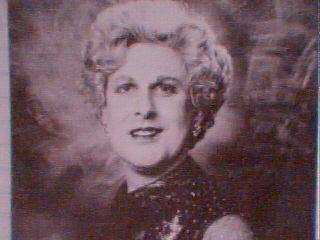 Lady Crabtree first appeared on radio in 1982 ('Funny Peculiar', BBC Radio 4, with June Whitfield, Sandra Dickinson, Brian Johnston, Barry Cryer, Nicholas Parsons, Gyles Brandreth, Dr Magnus Pyke and Clement Freud) and made her television debut in 1988 (Pebble Mill at One, BBC 1) when she was interviewed by Alan Titchmarsh. She has since made many broadcasts on both radio and TV worldwide. 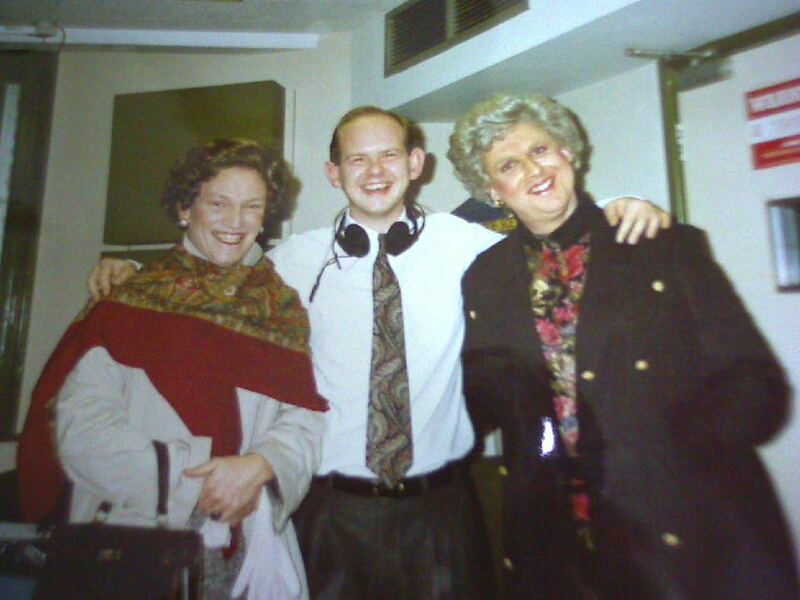 The late 1980s saw Connie and Morag performing on radio, TV and making personal appearances across the UK, with an itinerary that took them to Brighton, London, Birmingham, Bristol, Liverpool, Leeds, Edinburgh, Glasgow, Blackburn, Gloucester, Manchester and Cambridge. 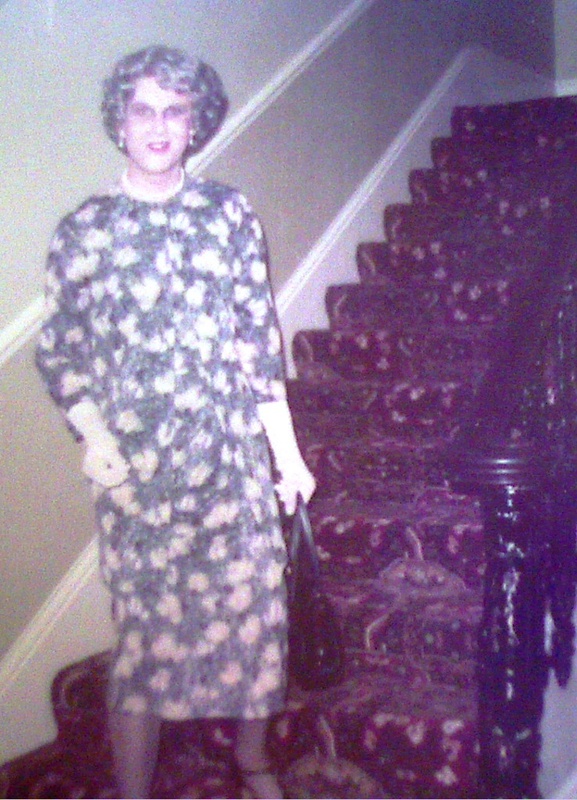 CONSTANCE MAY ROSE BATTERSBY was born in Warrior Square Gardens, St Leonard's-on-Sea, East Sussex, on 1st May 1948; her twin sister Millicent was delivered shortly afterwards. This was not only a shock to their mother - who hadn't realised that she was pregnant - but even more of a surprise to people taking a stroll through Warrior Square Gardens. With parents in the theatre (performing as the variety double-act 'The Gay Goslings'), the girls travelled widely throughout childhood, and Constance completed her education at Madame Bernice's Academy of Refinement and Beauty in London. She met her husband-to-be, the Hon Claude Crabtree, at the Assembly Rooms in York during her twenty-first birthday ball. After a whirlwind romance, they were married on 1st July 1969 in the gloomy church of King Herod the Great on the Crabtree family estate, at Cleghorn St Percy, North Yorkshire. The couple later had twin sons, Giles (disinherited, 1983) and Miles (the present Lord Crabtree, 10th Baron, 1984). 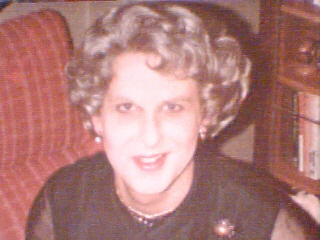 When Claude's father (Montfort, 8th Baron Crabtree) died on 7th June 1977, Claude inherited the Barony and Constance became Lady Crabtree. 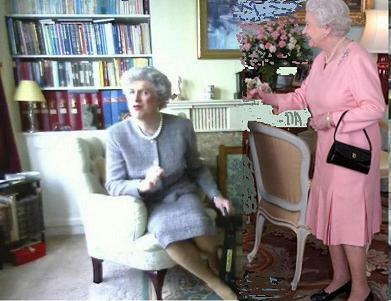 It still rankles with her that, if he had died just a day earlier, she would not have been deprived of her seat in St Paul's Cathedral for the Queen's Silver Jubilee Service. She is convinced that he lingered deliberately, just to spite her. Now a fully-fledged member of the aristocracy, her public life began in earnest in 1978, especially in connection with Lord Crabtree's role as Chairman of the Mid-Yorkshire Swine Breeders' Federation - the Crabtrees owning some of the largest sties in Yorkshire. 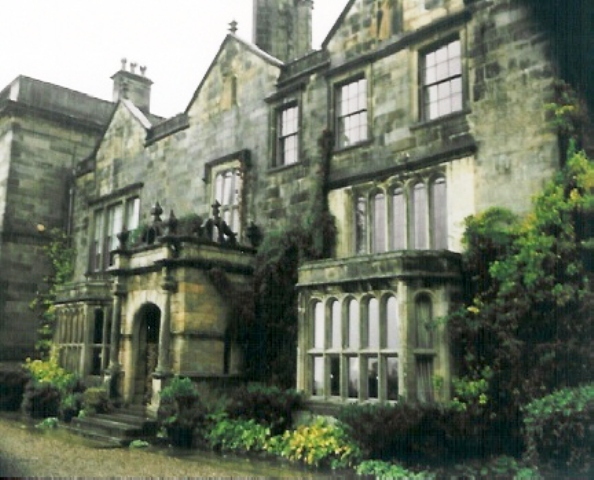 A highlight of her early married life was when the Queen and the Duke of Edinburgh came to a dinner at Crabtree Hall, which greatly improved Lady C's social standing as a society hostess. 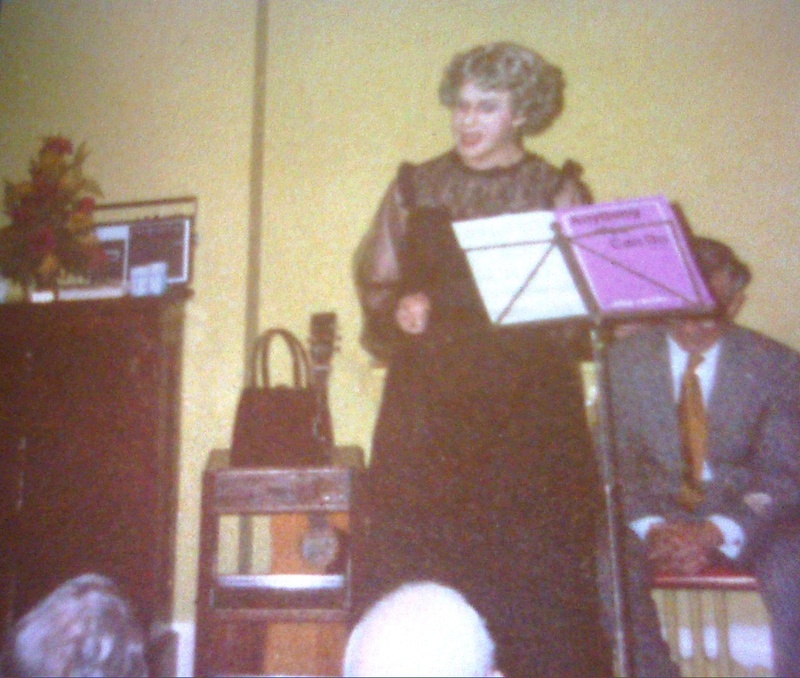 Continuing her family's interest in the theatre, Lady Crabtree became Patron of the Cleghorn Local Amateur Players (The CLAP) - a role she still endures to this day. 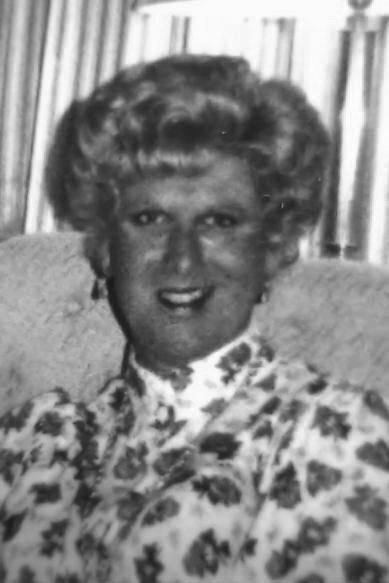 After Claude's untimely death at a dinner party in 1984, the Dowager Lady Crabtree found herself financially embarrassed - faced with astronomical death duties and Claude's gambling debts. Taking pity on her situation, the Queen offered her the post of Relief Woman of the Bedchamber within the Royal Household. 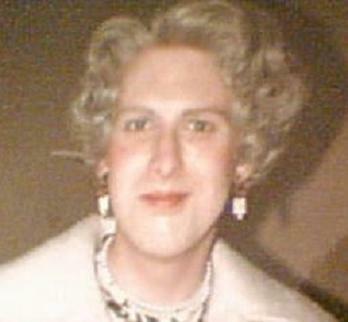 In 1988, after publishing extracts from the Queen's diaries and letters, in the misguided belief that she was doing Her Majesty a great favour, Lady Crabtree unexpectedly found that her services were no longer required. 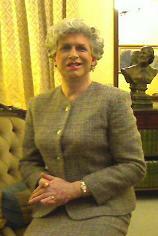 In 2005 she became a Reserve Lady in Waiting to Camilla, Duchess of Cornwall. Now residing in Eastbourne, dividing her time between a sea front hotel and a Home for Gentlewomen Living in Reduced Circumstances, Lady Crabtree continues to fulfill an active public life. 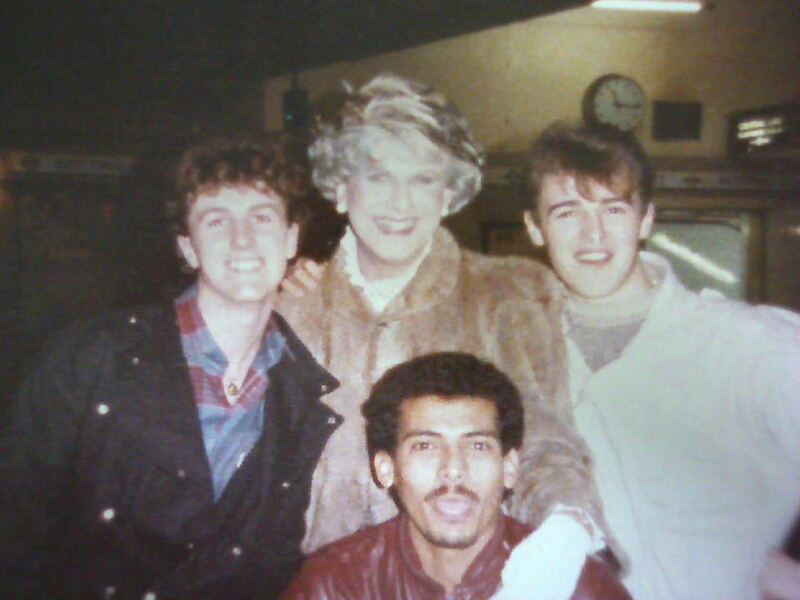 On New Year's Eve 1984 Lady Crabtree was suddenly mobbed by fans at a west London Underground Station.